The eco-power device is designed in confirmation to EMC Directive excluding AKW2020G and AKW2160G series. The Aug. 2013 upgraded device features added function to remove SD memory card safety. The errors can be confirmed via communication. During error detection, alarms can be used. 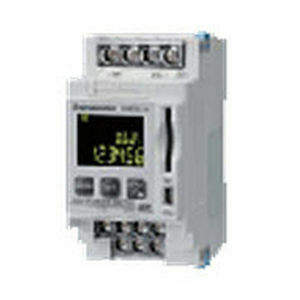 The Feb. 2013 upgraded device provides remote operation of 3 types of general-purpose output through RS485. Even 0.001kWh of integrated electric power can be measured to meet higher accuracy demand function. Nov. 2012 upgraded series features KW monitor to store the setting value of KW2G series. Oct. 2012 upgraded series features selectable pulse output width between 1-100ms to enable utput of more detailed value to external counters. The connected devices operational status is is possible through display of pulse input status.